or start typing : and the code of the emoji you'd like to use. Emoji suggestions will automatically appear. You can also use diverse emoji characters. To open the emoji diversity menu, hold click on an emoji, and it will show diverse characters to choose from. 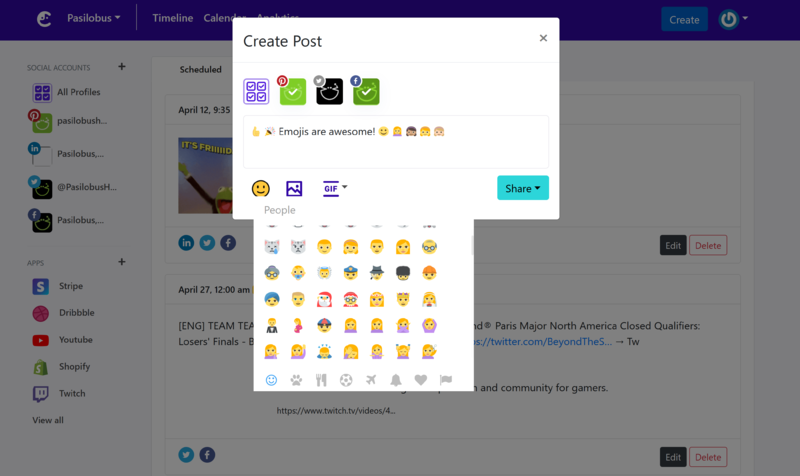 Each social network has different emoji designs for same emoji codes so emojis will look different on each social network. In Comity, we use Emojione emoji set for consistency.